What You Can Do to Be Prepared! Residents and business owners are encouraged to prepare for strong winter storms. Prepare ahead of time to keep your family, pets and property safe! 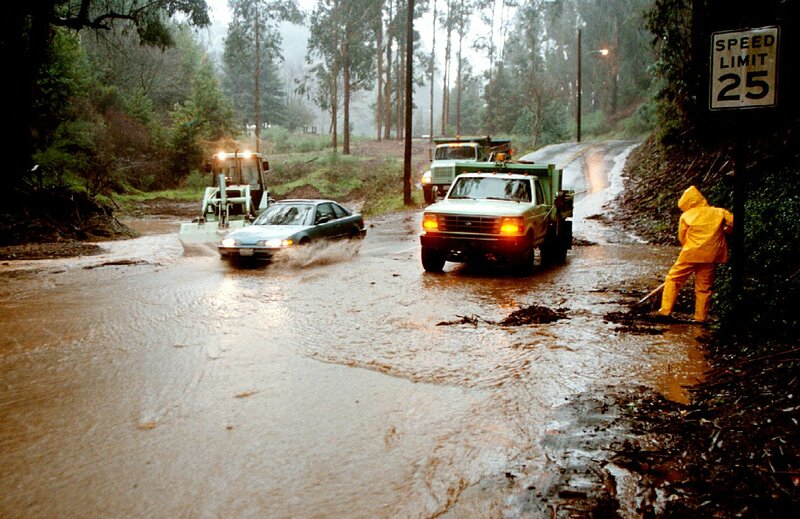 View or download Oakland's storm preparedness checklist here. ESTÉ PREPARADO PARA LAS TORMENTAS. Use esta guía con el fin de prepararse para enfrentarse a las condiciones climatológicas severas como lluvias intensas, inundaciones, ráfagas de viento y apagones. Click on www.Ready.gov for Family Plans, emergency kit lists, and so much more for you and yours! Adopt A Drain seeks volunteers to help keep storm drains clear of debris. By keeping storm drain inlets clear, you can help prevent flooding during storms. 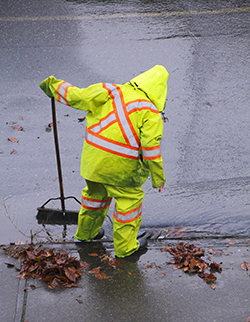 Here are some tips for keeping storm drains clear of debris. Visit www.adoptadrainoakland.com or call (510) 238-7630 to volunteer. Please view the Adopt a Drain flyer for basic information about the program. Click here to watch a City video on Adopt A Drain. Click here to watch a video by KTVU's Bay Area People on the Adopt A Drain Program. We encourage you to get an early supply of sandbags at your local hardware, landscaping or home improvement stores now before supplies are exhausted. Purchasing sandbags and sheeting now means you'll be able to place them before rain and flooding endanger your home, store or property. Watch the City's videos on How to Prepare Sandbags and How to Place Plastic Sheeting. Monday – Friday, 8 a.m. – 4 p.m., Saturday & Sunday, 8 a.m. – 4:30 p.m.
After Hours (at entry gate) 4:30 p.m. – 8 a.m.
Keep these numbers handy for emergencies. Share them with family, friends and neighbors. For life threatening emergencies, call 9-1-1 or (510) 777-3211 from a cell phone in Oakland. Call (510) 615-5566 to reach the Oakland Call Center. For downed power lines or if you smell natural gas, leave the area immediately and then call 9-1-1 or PG&E at (800) 743-5000. Report power outages online at http://m.pge.com/#outages. Use the online map to view outages in your area. For water service emergencies (e.g., no water service, broken hydrants, broken water main pipes), contact EBMUD at (866) 403-2683. Thank you for being our eyes and ears in your community! Coordinating planning efforts with other agencies in the region, including Alameda County. We have received hundreds of calls for service since stormy weather began in January 2017. Crews are responding to those calls around the clock, prioritizing incidents where public safety is a concern. 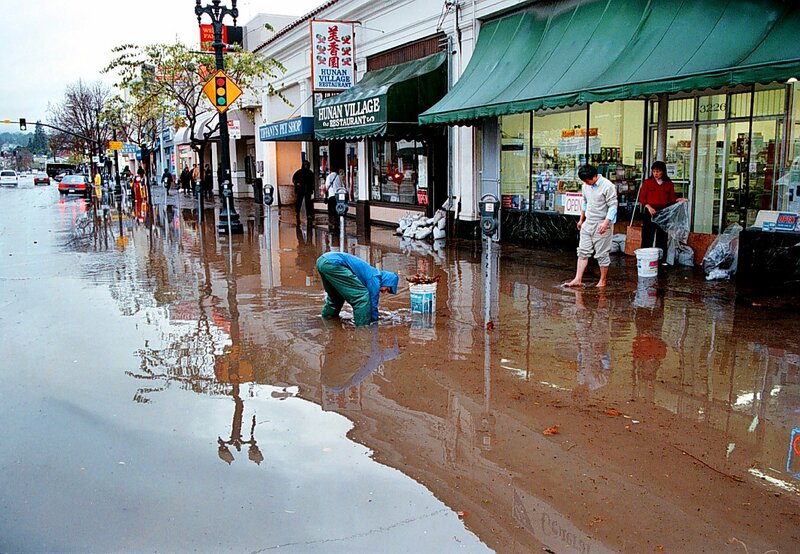 Oakland residents and business owners are encouraged to participate in one of the City’s Weather Ready Workshops. Participants will learn important information and the steps to take to prepare for severe weather situations including heavy rains, flooding, high winds and power outages. The workshops will highlight the actions to take ahead of time to keep your family, pets and property safe. Click here to read a media release on the Weather-Ready Workshops. The next workshop will be scheduled shortly. Please check back.